One of my brand new summer menu items from the Punch Room. 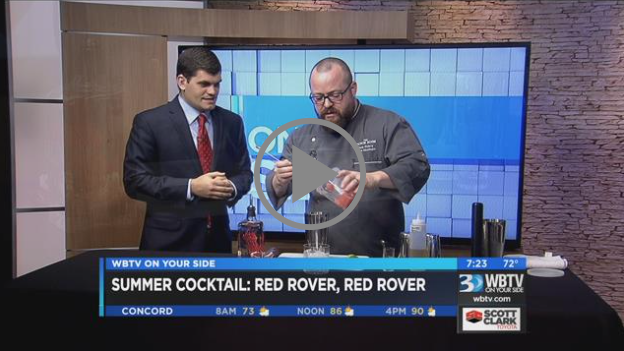 The "Red Rover, Red Rover" recipe is a summer must on this WBTV morning news demo. This entry was posted in Press and tagged bars, bartender, Best Bartender, Best cocktail bar, Best mixologist, Bob Peters, bob the bartender, Charlotte, cocktail, Cocktails, james beard, mixologist, outstanding bar program, punch room, punch room ritz, summer menu, the ritz charlotte, The Ritz-Carlton, TV demo, WBTV News.